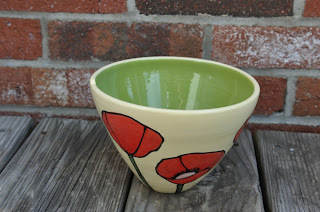 Home / Journal Page / New Lacey Pots at Harvest Gold! 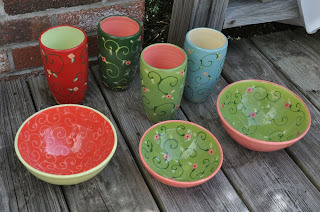 New Lacey Pots at Harvest Gold! 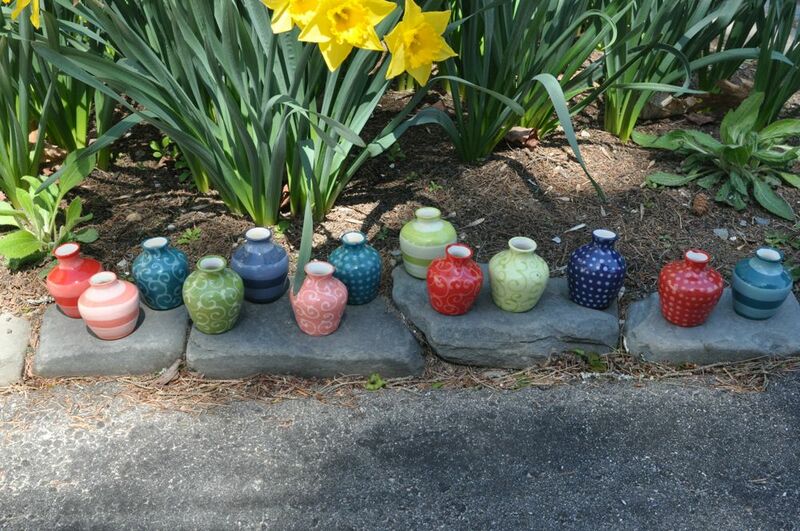 Lacey's delightful dandelion vases, named, "Itty Bitty"! Just in to the gallery, cups and bowls. We are featuring a local artist centered in Portland, Maine this week. 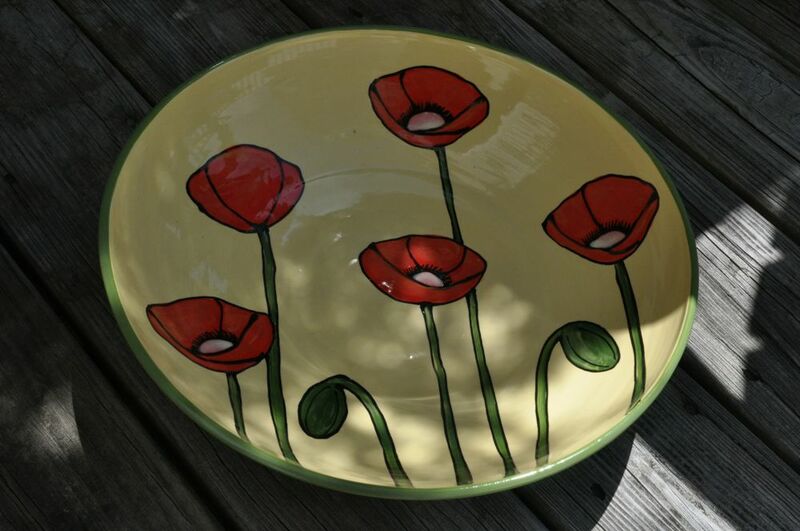 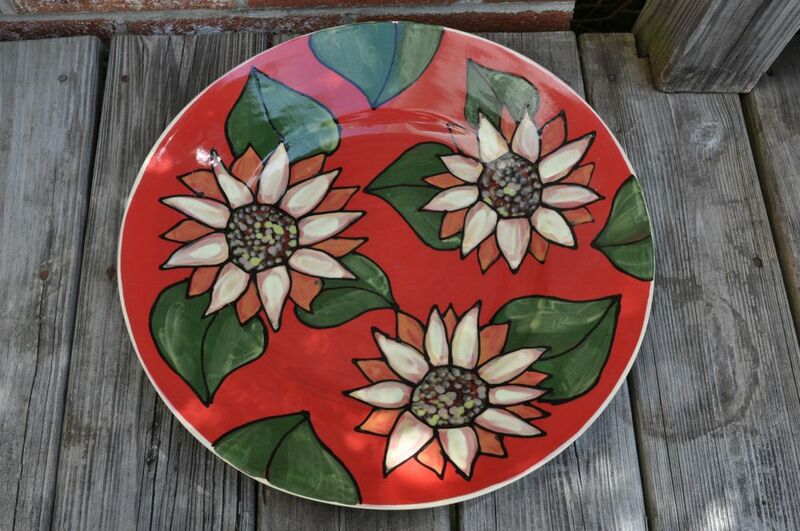 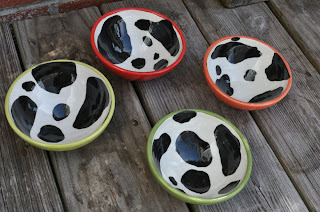 Lacey Goodrich, owner and founder of Laceypots, has created quite a "contemporary meets romantic" union in her uniquely designed pieces, ranging from swirly vases, to chickadee plates, to sunflower serving plates. 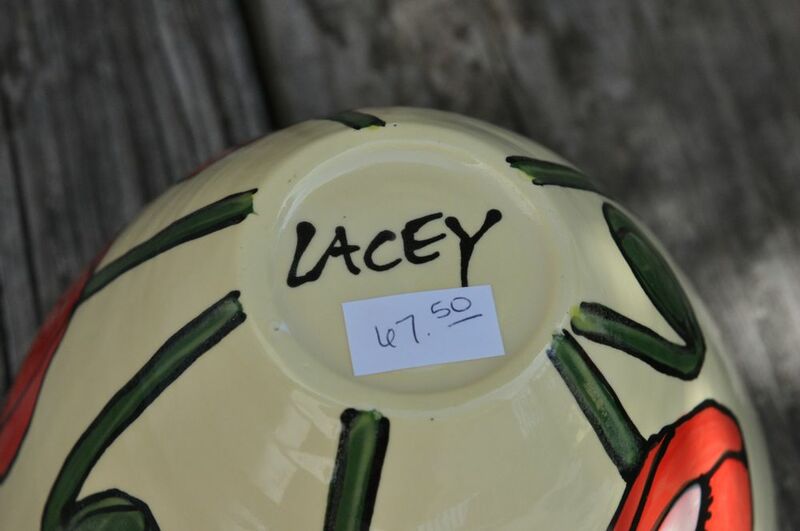 We are always delighted, here at the gallery, to welcome new pieces coming in from Lacey! 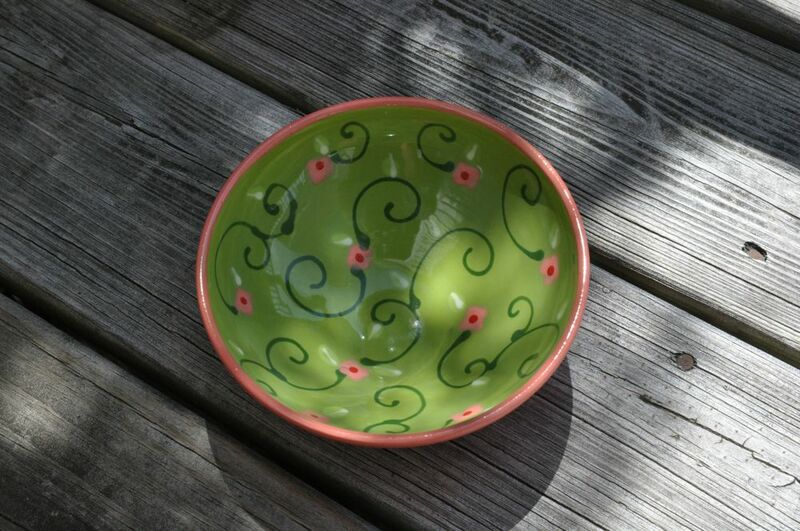 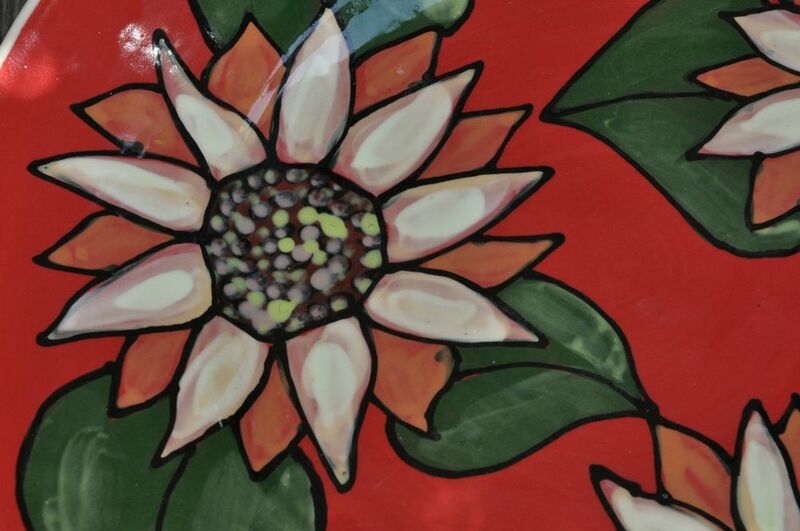 All of her pieces are wheel-thrown and hand painted and her love and awareness of color combinations is perfection! With Mother's Day fast-approaching, these make perfect gifts, as they are or filled with fresh flowers for mom. When driving through beautiful down town Center Lovell, over looking Kezar Lake and the White Mountains, which still are capped in snow, stop in to see the other Laceypots pieces that are on display at the gallery.